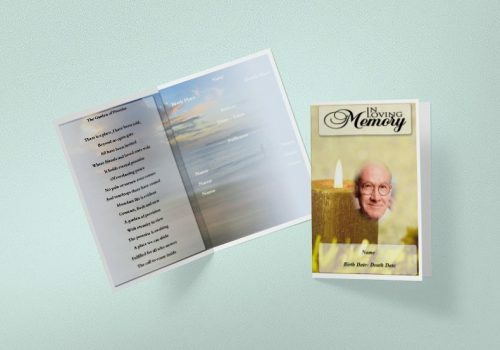 The Tri Fold Brochure Templates can be tricky in putting together, especially if you are not a graphic designer by trade and have not produced brochures on a regular basis. Using our Tri Fold Brochure Software you can create this online using pre-designed templates for Tri Fold Brochure. 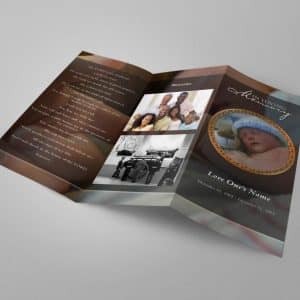 The Tri Fold Brochure Templates can be tricky in putting together, especially if you are not a graphic designer by trade and have not produced brochures on a regular basis. But nevertheless, there are occasions in our when a tri fold brochure just seems appropriate to use. 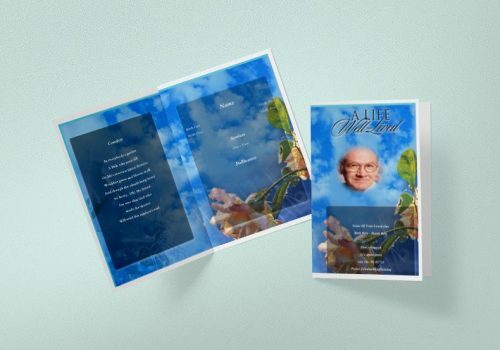 So, for your funeral program occasion, we are presenting you the easiest way to edit, add your own contents and download printable PDF to print your Tri Fold Brochure Templates. The tri fold brochure can be tricky in putting together, especially if you are not a graphic designer by trade and have not produced brochures on a regular basis. 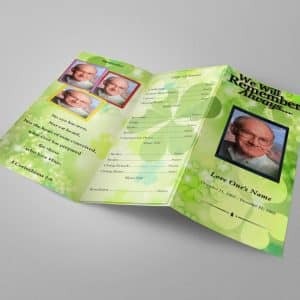 But nevertheless, there are occasions in our when a tri fold brochure or funeral templates just seems appropriate to use. You could hire a graphic designer and have them create and design one for you. But if you choose to take this step, you need to make sure the designer you hire will be able to produce the design you are really looking for. It could cost you anywhere between $300-$500, depending on the extend of the artwork produced and the number of hours it takes them to produce it. But here’s an easier way. 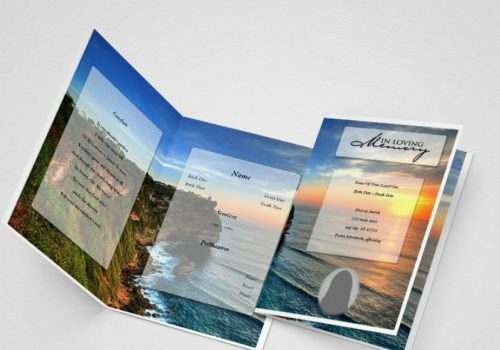 Why not use a tri fold brochure template to create the look your after? It’s definitely cheaper or cost effective and certainly you’ll know exactly what the design will look like. For the beginner to intermediate computer user, brochure templates are available for various applications such as Microsoft Word®, Publisher®, or Apple iWork Pages®. 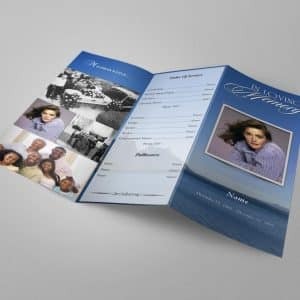 For the more advanced computer user, brochure templates are also available for the Adobe Suite® compatible with Photoshop, Illustrator, and InDesign. These types of templates offer a predesigned and preformatted tri fold and already contain the artwork for the background images. You will only need to enter the customized text and insert any personalized photos you may want to include. How easy is that? 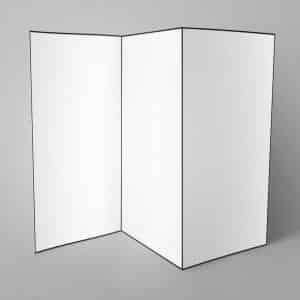 Very often, companies and businesses use tri fold brochures as a handout of a summary for their line of products or services. It is the most popular print collateral for business promotion besides the business card. Look for tri fold brochure templates that offer a full color design on the front and back. Brochures are available in three distinct sizes of letter, legal, and even tabloid size. Evaluate the size you may need for your particular needs. The larger the brochure (Tri Fold Brochure Templates), the more costly to print but it does allow you to insert and include more text and information. Select a web resource that offers full customer support via phone or email for the best service and assistance.